“They’re homogenous, we are not. They’re disciplined, we are not. It is a common understanding—a collective acknowledgement born out of the disaster that was the Nixon administration—the Republican is a vile and bestial creature incapable of possessing even the slightest trace of human decency. Compassion for his fellow man is lost beneath a warped sense of moral justice. Civil liberties are continuously trumped by initiatives neatly packaged in sound bites constructed to appeal to the principles of the working class, while only serving to line the pockets of the wealthiest citizen’s and feed the nation’s war chest. Despite its shortcomings, the Republican—much to the dismay of progressive thinkers—has mastered the art of framing political discourse, maintaining a rhetorical advantage over Democrats who have grown frustrated over repeatedly failing to capture the vote of the demographic they (ideologically) represent. 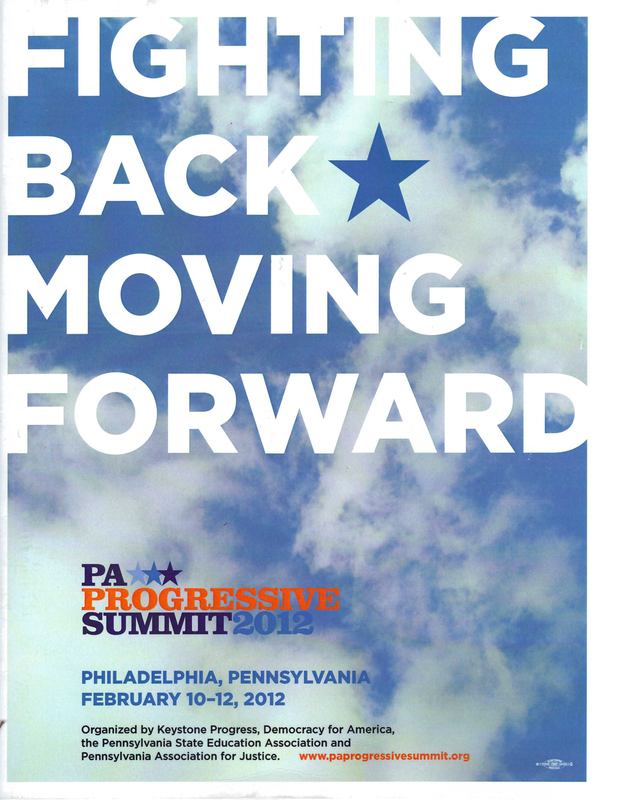 This frustration was evident this past Saturday, February 11, in Philadelphia when liberal politicians and activists gathered at the Pennsylvania Progressive Summit in hopes of equipping themselves with the necessary rhetorical tools needed to establish a unified and unwavering party capable of muting the conservative linguistic machine. Erpenbach agreed with the statement and noted that importance of determining “What it is we stand for and what we would do.” Nobody, including Erpenbach, seemed willing to take the conversation beyond that statement and begin a discussion of developing a clear party line. Democratic Party leaders have historically displayed a willingness to abandon loosely held political ideologies when necessary to placate their conservative counterparts and as a result its voting base has struggled to develop a sense of political identity. This party-wide identity crisis, while understood and successfully exploited by Republicans, is unrecognizable to many Democrats—elected officials can not provide proper representation for a liberal base incapable of organizing a unified political infrastructure, yet the liberal base will be unable to adhere to a party line if its elected officials routinely disregard progressive policies. The workshops offered on Saturday proved to highlight the disconnect that exists not only among the progressive rank and file, but also between the individuals who have risen to prominent positions within the movement and the legislators who have attempted to facilitate its emergence as a viable political force. 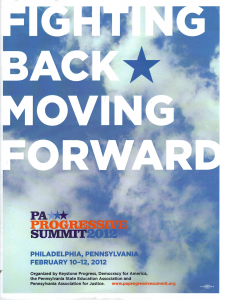 Progressive gatherings never fail to produce a consistent line of questioning from those in attendance–progressives yearn for answers from party leaders that will facilitate in their growth as political thinkers. Often the answers provided by representatives and progressive leaders are vague and devoid of all substance. The importance of self-education and the distribution of knowledge must not be understated, but it is imperative for the progressive activist not to become a mouthpiece for a party, which cannot yet represent the political needs of its base.